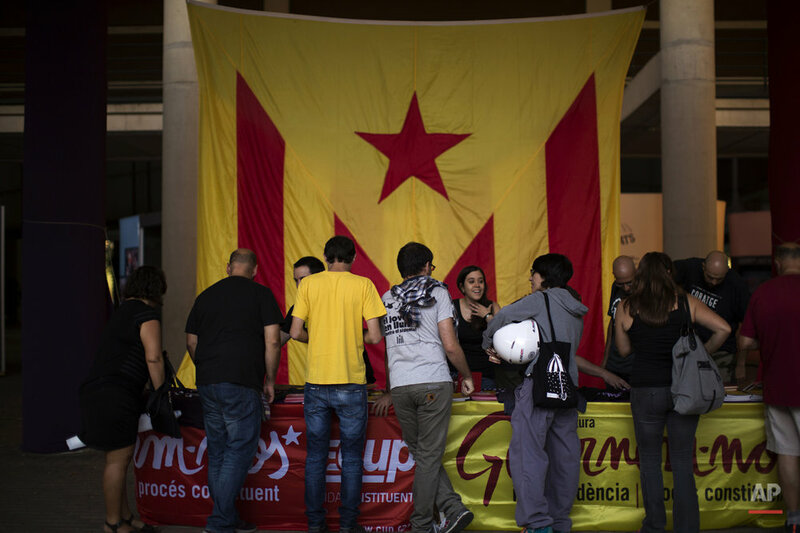 Flag-waving crowds have given color to campaigning for Sunday's regional parliamentary elections in Catalonia. 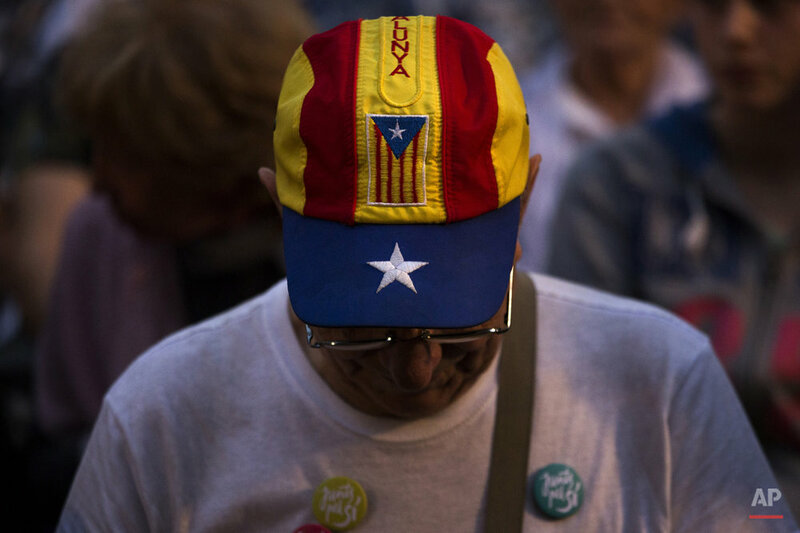 Voters in the economically powerful region of northeastern Spain are being presented with two choices: parties promising efforts to make Catalonia independent, and parties that want Catalonia to keep its special identity but don't want it to break away from Spain. Polls show the independence parties headed for a slim win. Flags decorating Catalan buildings reflect the division. 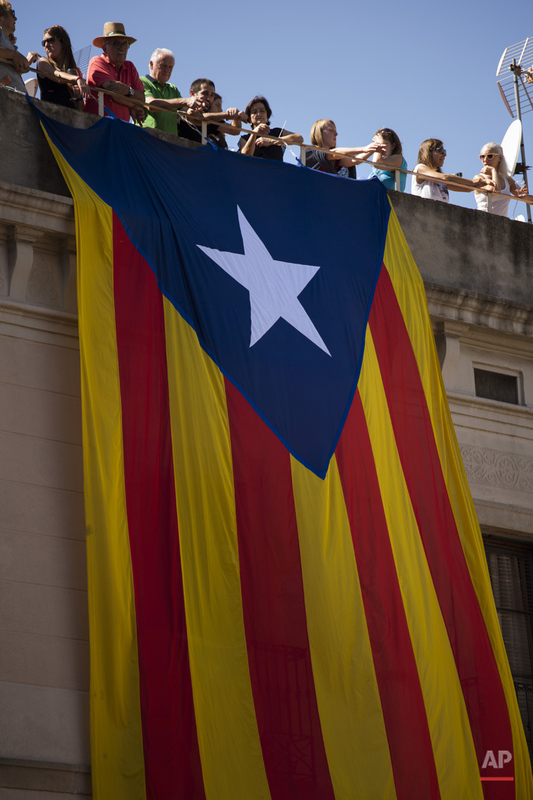 Nationalists fly the Catalan flag, with its red and yellow stripes. Secessionists add a blue triangle and white star to it. The Spanish government in Madrid says breaking away would be illegal and Catalonia's 7.5 million residents would automatically lose their Spanish nationality, and consequently their European Union citizenship, if the ballot winner decides to declare independence. 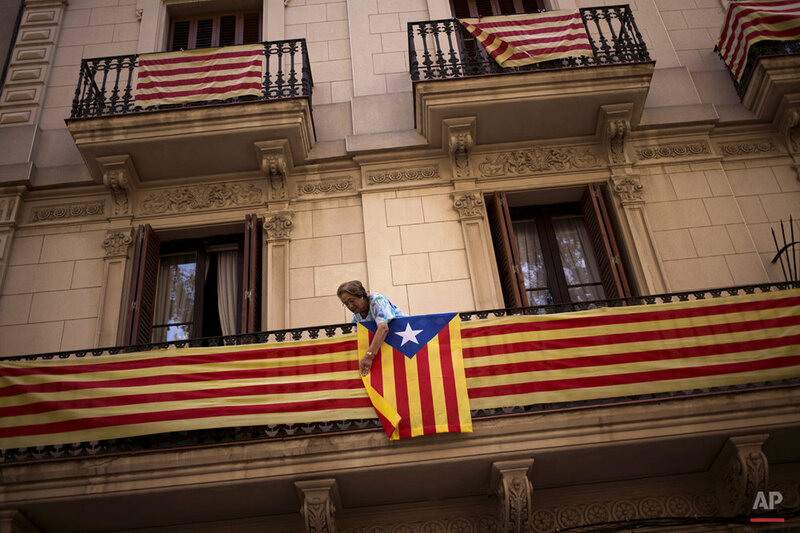 Text from the AP news story, AP PHOTOS: Catalans fly the flag in campaign on independence.